Hoysala architecture is the building style developed under the rule of the Hoysala Empire between the 11th and 14th centuries. Apart from the magnificent temples at Belur and Halebid, Hoysala rulers have built many beautiful temples in Karnataka. The following are few glorious Hoysala temples that are popular for its architecture. 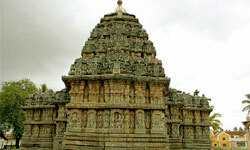 Somanathpura: Somanathapura is famous for ancient Chennakeshava Temple. The temple was built in 1268 AD by Soma, a commander under Hoysala king Narasimha III, The temple at Somanathpura is one of the most excellent examples of Hoysala architecture and it is in a very well preserved condition. The outer walls of the temples are decorated with a series of star-shaped folds and the entire surface is covered with carved stone plaques. The walls above the plinth are also carved with exquisite figures of gods and goddesses, taken from the Hindu mythologies, and meticulously arranged in vertical panels. The Chennakeshava temple at Somnathpur is preserved by the Archeological Survey of India as a protected heritage site and visitors are allowed only from 9:00AM to 5:30PM. Nuggehalli: Nuggehalli is located at a distance of 50 Km from Hassan on Tiptur-Channarayapatna state highway. Nuggehalli houses two attractive Hoysala temples, the Lakshminarasimha temple built in 1246 CE and the Sadasiva temple built in 1249 CE by Bommanna Dandanayaka, a commander in the Hoysala Empire during he rule of King Vira Someshwara. Laksmi Narayana Temple is a good example of a richly adorned Hoysala temple built in the trikuta (three towers) vimana (prayer hall) style with fine sculptures adorning the walls. The Sadashiva Temple is unusual Hoysala temple built in the ekakuta architecture with nagara-styled tower. The walls of the shrine and the mantapa are severe looking as there is no sculptural decoration. Yet this temple is considered important from the architecture point of view. Anekere: Anekere is located at distance of 6.5 Km from Channarayapatna Taluk In Hassan district. 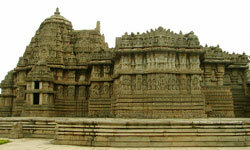 Anekere is popular for the ancient Chennakesava Temple, built during 1119 AD. This temple at Anekere was constructed by the Hoysala kings and has been recently renovated. The entrance of the temple is superbly carved with pillars and place to sit. The temple has a big open space around the temple. On the top of the temple, one can find finely carved Kalasha which is unique in its style and is of the biggest in size. A smaller version of the same Kalasha can be found at the temples located at Koravangala and Doddagaddavalli as well. Doddagaddavalli: Doddagaddavalli is located at a distance of 16 Km from Hassan. The main attraction of Doddagaddavalli is Lakshmi Devi Temple built in the Hoysala style. Lakshmi Devi Temple is one of the earliest known temples built in the year 1114 CE during the rule of king Vishnuvardhana. The temple is surrounded by the coconut plantations and also has a lake at its rear which adds to the natural beauty. The Lakshmi Devi Temple at Doddagaddavalli is built with Chloritic schist or soapstone. The temple does not stand on a jagati (platform), a feature which became popular in later Hoysala temples. The temple is a chatuskuta construction (four towers) built inside a 7 feet tall stone enclosure with the entrance through a porch which is supported by circular lathe-turned pillars. Kikkeri: Kikkeri is located in Mandya district and it is just 10 Km from Shravanabelagola, the world famous Jain pilgrimage center and 18 Km from Channarayapatna. 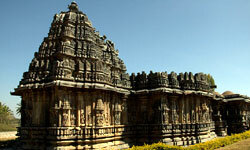 The main attraction of Kikkeri is Brahmeshwara temple, which is a fine example of Hoysala architecture. The Brahmeshwara temple at Kikkeri was built in 1171 AD by a wealthy lady called Bammare Nayakiti during the rule of Hoysala King Narasimha I. The design of the temple is distinctive. The interior of the temple has been widened beyond its base by making the outer walls bulge out in a convex shape. This is an ekakuta (single shrine) construction. 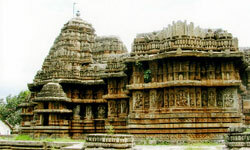 The temple at Kikkeri is a protected monument under the Karnataka state division of the Archaeological Survey of India. Koravangala: The main attraction of Koravangala is ancient Bucesvara temple built in the year 1173 A.D. by a rich officer called Buci (or Buchiraja), to celebrate the coronation of Hoysala King Veera Ballala II. 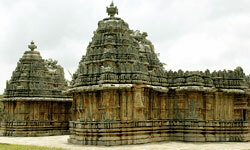 The Bucesvara temple is located at a distance of 10 Km from Hassan. The Bucesvara temple at Koravangala is a divikuta (two shrines) that face each other. These shrines are connected by a closed mantapa (hall) and an open mantapa. Consequently, one shrine appears much dimmer in lighting than the other. The temple decorative features can be said to belong to the "old kind" prevalent even before the Hoysala times. Nearby are two more temples that are in ruins. 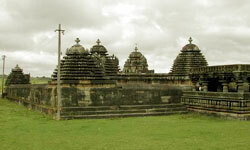 This temple is protected as a monument of national importance by the Archaeological Survey of India. Mosale: Mosale is located at a distance of 13 Km from Hassan and the place is famous for Nageshvara-Chennakeshava temple complex. 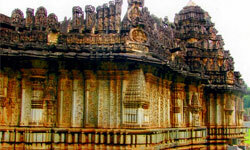 The temples are built in 1200 A.D during the reign of Hoysala King Veera Ballala II. The temples at Mosale are elegant example of Hoysala architecture of the early 12th century. 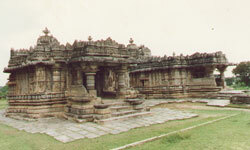 The temples at Mosale are simple single shrined structures with all the typical features of Hoysala architecture; a porch entrance into a square closed mantapa or navaranga leading to the sanctum, and a superstructure (shikhara) over the main shrine fitting the description of a ekakuta (single shrine with top). The sanctum (garbhagriha) is connected to the hall by a vestibule called sukhanasi. The closed hall, whose inner and outer walls are adorned, has four central lathe turned pillars that support a bay ceiling. This temple is protected as a monument of national importance by the Archaeological Survey of India. 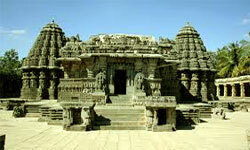 Belavadi: Belavadi is temple village located at a distance of 10 Km from Halebid. Belavadi village was also known as Ekachakranagara, a place mentioned in Mahabharatha where Bheemasena killed the demon Bakasura and protected the village and its people. The main attraction of Belavadi is a temple dedicated to Lord Veeranarayana. This trikuta (three tower) temple was built by the Hoysala Empire by King Veera Ballala II in 1200 AD. Each of the shrines has a complete superstructure (tower on top of shrine) and is one of the largest examples of Hoysala architecture. The temple is unique in that two of the shrines face each other on either side of a wide and spacious open mantapa (hall) containing 37 bays. There is also an older shrine containing a closed mantapa with 13 bays and a closed mantapa with nine bays at the end of which is a central shrine. This third shrine is an older construction and exhibits a wonderful Hoysala architectural idiom containing all the basic elements of Hoysala temple. Haranhalli: Haranhalli is located at a distance of 39 Km from Hassan in the Arsikere taluk. Haranhalli is well known for two complicated temples built by the Hoysala Empire King by the Hoysala Empire King Vira Someshwara in the year 1235 A.D., the Lakshminarasimha temple and the Sadashiva temple few meters asway from the Lakshminarasimha temple. 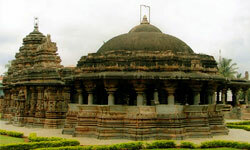 The Lakshminarasimha temple at Haranhalli is a complete and good example of Hoysala architecture. The temple is a trikuta (three shrined), with a strong focus on the middle shrine which has a superstructure (tower or shikhara) and a sukhanasi (tower over the vestibule). The three shrines are connected by a common hall called mantapa. The lateral shrines are connected directly to the hall while the middle shrine has a vestibule that connects the sanctum (cella or vimana) to the hall. This temple is a protected monument under the Karnataka state division of the Archaeological Survey of India. Ishwara Temple, Arasikere: The Ishwara Temple at Arasikere is one of the Hoysala Temples built in 1220 AD. The temple is dedicated to Lord Shiva. This temple is believed to be the most complex in architecture among surviving Hoysala temples for the reason that of its ground plan: a 16-pointed star shaped mantapa (hall), in addition to an irregular star shaped shrine, whose star points are of three different types. The temple, which faces east like all Hoysala constructions, uses soapstone as basic building material and is a ekakuta shrine (single shrine) with two mantapas, one open and one closed. The temple is located at a distance of 41 Km from Hassan city. 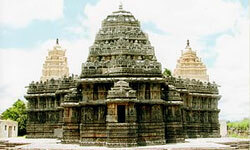 Amruthapura: Amruthapura is a historical place located in Chikmagalur district. 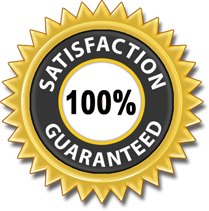 The place is located at a distance of 110 Km from Hassan and 70 Km from Chikmagalur. The main attraction Amruthapura is splendid Amruteshwara temple. The temple was built in 1196 by Amrutheshwara Dandanayaka (commander) under Hoysala King Veera Ballala II. The temple is a fine example of Hoysala workmanship built with a wide open mantapa (hall). The temple is surrounded by Palm and Coconut farms; the temple still has its original outer wall with interesting, equally spaced circular carvings. The temple has one vimana (shrine), hence it is a ekakuta design and a closed mantapa (hall) connects the shrine to the large open mantapa. Javagal: Javagal is located at a distance of 40 Km from Hassan city and 20 Km from Halebid. The main attraction of Javagal is Lakshminarasimha Temple. The Lakshminarasimha Temple was built in 1250 AD by Vira Someshwara and it is an example of Hoysala architecture of the mid-13th century. 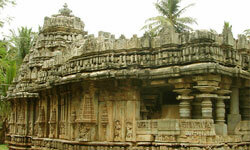 The temple plan is simple and commonly found in other Hoysala temples. It is a trikuta (three shrined), though only the middle shrine has a superstructure (tower) and a sukhanasi (nose or tower over the vestibule). The three equal size shrines are all square in plan and are connected by a common closed hall (mantapa). 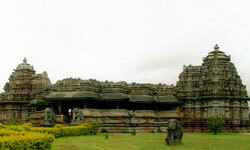 The temple stands on a platform (jagati), a feature common to many Hoysala temples. Here the emblem and the kalasa are missing. The kalasa has been replaced during later times with a metallic pinnacle. Hosaholalu: Hosaholalu is a small temple village located in Mandya district. Hosaholalu is located at a distance of 72 Km from Hassan and 59 Km from Mysore city. The main attraction of Hosaholalu is the temple dedicated to Lakshminarayana (Lord Vishnu). The temple was built by king Vira Someshwara of the Hoysala Empire in 1250 AD. The date of the temple has been discovered by the style of the sculptures and architecture and compares closely with the of that period Hoysala architecture at Javagal, Nuggehalli and Somanathapura. The temple is an example of a trikuta vimana (three shrined) temple with only the central shrine exhibiting a tower (superstructure) on top. The temple is built on a jagati (platform), a Hoysala innovation that elevates the whole temple by about a meter. Aralaguppe: Aralaguppe is a small town located in Tumkur district at a distance of 62 Kum from Tumkur and 80 Km from Hassan city. The main attraction of Aralaguppe is the temple dedicated the Lord Channakeshava (Vishnu). The temple was built around 1250 A.D. during the rule of the Hoysala Empire King Vira Someshwara. Though the temple is a simple one, it is highly articulate example of Hoysala architecture. Architecturally, the plan is 16-star pointed with a well design shikhara (tower) over the vimana (shrine). The kalasa on top is missing though. The tower starts with a topping roof which is also 16-star pointed and is followed by four tiers of square roofs, some of which still have their decorative kalasa. 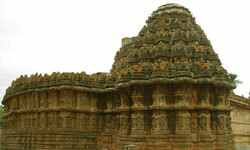 The temple is now a protected monument under the Karnataka state division of the Archaeological Survey of India.